Andrew Nickerson works with Nancy Budwig, professor of psychology and Senior Fellow at the Association of American Colleges and Universities, with research focused on integrative learning and college student success. The future of a juvenile offender can sometimes hinge on where and how that person receives treatment. Andrew Nickerson ’19 recently conducted a LEEP project at UMass Medical School’s Law and Psychiatry Program, where he gauged the review and evaluation tools designed to help probation officers better treat juveniles. Clark’s LEEP projects provide research and internship opportunities for undergraduate students. “When a youth is matched with an appropriate type of program that addresses a specific issue, the likelihood that the youth will commit another crime goes down,” the psychology major says. At UMass Medical, Nickerson has worked with Dr. Gina Vincent on the Risk Assessment and Behavioral Health Screening (RABS) project. The goal of the project – which is funded by the MacArthur Foundation and the Office of Juvenile Justice and Delinquency Prevention – is to give juveniles the level of service most appropriate for them. Nickerson will share his research at Clark’s Fall Fest for undergraduate researchers in November. “I am excited to present on what I have learned and what the RABS project has found,” he says. The Yarmouth, Maine, native came to Clark University not only to study psychology, but also for a change of scenery. With fewer than 100 in his high school graduating class, Nickerson was excited about the prospect of meeting new people in an unfamiliar place. He admits that not knowing anyone in Worcester was part of Clark’s allure. “I wanted to experience studying outside of the state of Maine and get out of my comfort zone,” he says. In his first year at Clark, Nickerson got involved with the Student Sustainability Fund, which supports student-planned initiatives that enhance Clark’s sustainability. Now a project manager, Nickerson is responsible for project goals and timelines. “It has been a fabulous experience working with [Director of Sustainability] Jenny Isler, project leaders, and the SSF,” he says. Nickerson’s project at UMass Medical gave him access to discussions, webinars, lectures, and dialogues on current research into juvenile justice as well as other areas of psychiatry. “Combined with my daily work, these educational events have really helped solidify my understanding of the material,” he says. Recently, Nickerson has been assisting Nancy Budwig, professor of psychology and Senior Fellow at the Association of American Colleges and Universities, with research focused on integrative learning and college student success. 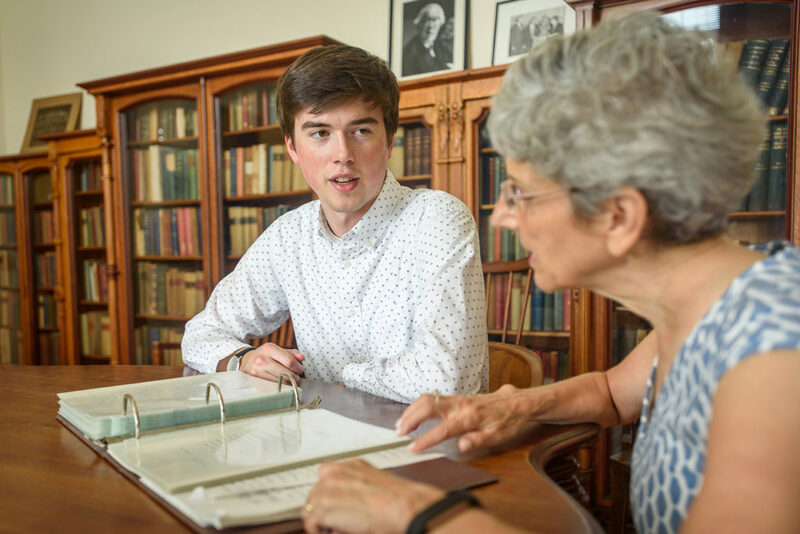 Nickerson credits the mentorship of his psychology professors, including his adviser, Andrew Stewart, and Kathleen Palm Reed, who is advising him on his honors thesis, which deals with sexual violence. With the help of education instructor Nathaniel C. Seale, Nickerson also had the opportunity to work with a practicing school psychologist, a field he plans to pursue after commencement next spring.